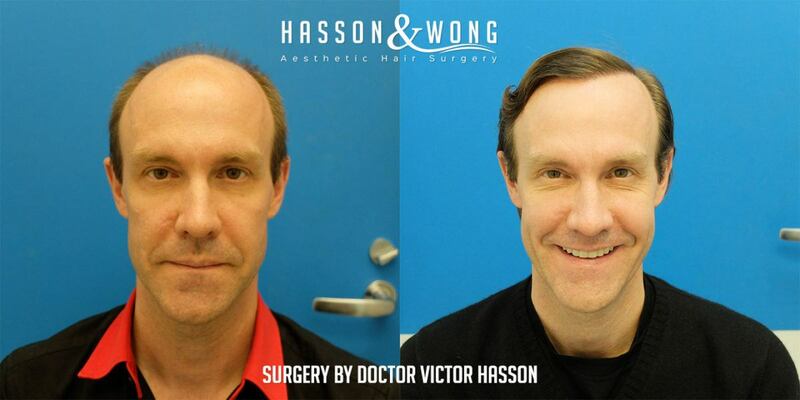 Hasson & Wong hair transplant, Canada. 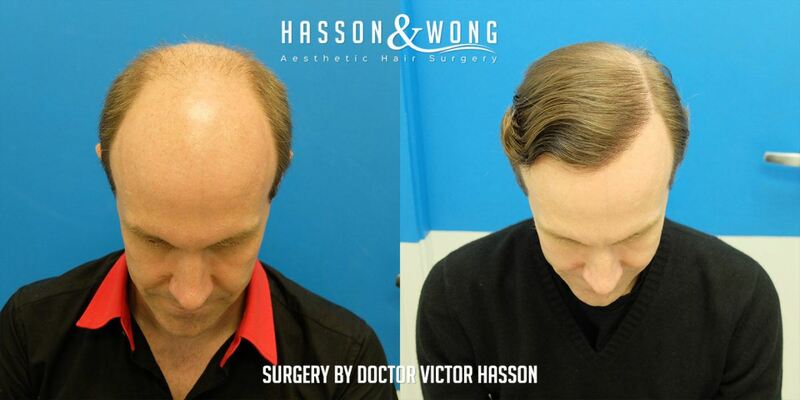 This again is another example showing how Hasson & Wong can create dramatic improvements even for patients who have severe baldness. The patient is a norwood class 6/7. 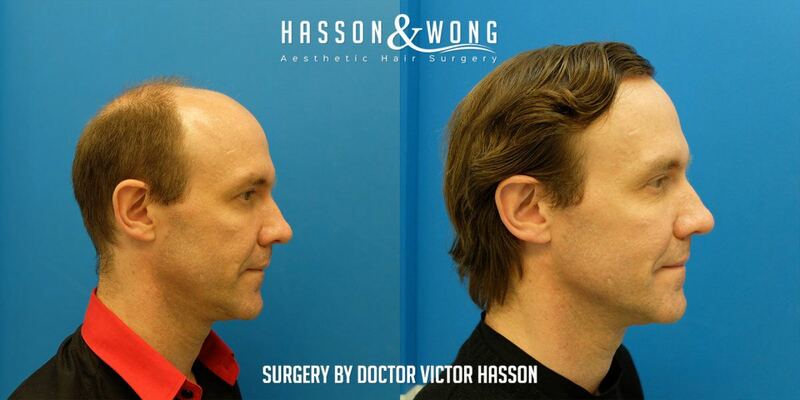 He traveled from Shanghai to Vancouver to have the procedure done with Dr. Victor Hasson. 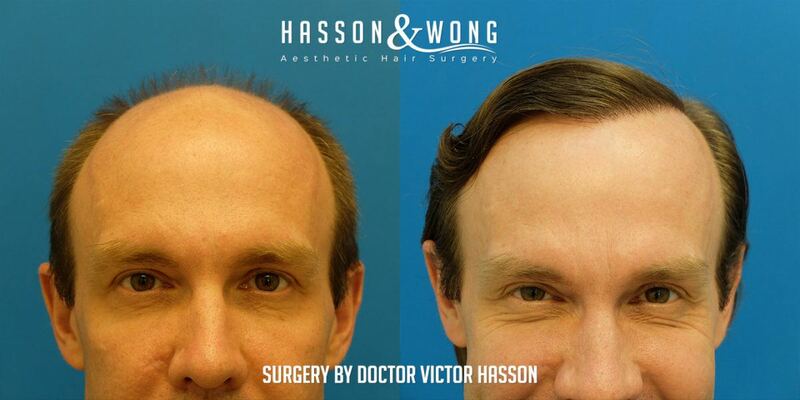 The photos below show his transformation 16 months after his strip procedure. 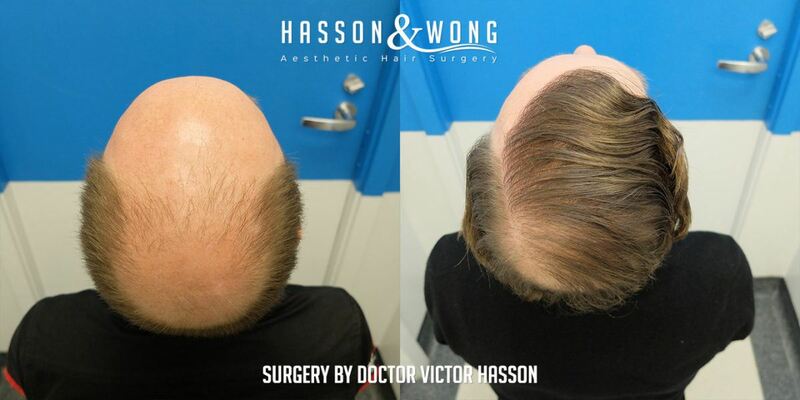 The patient was very pleased with his first procedure and had indeed returned to Hasson & Wong for a 2nd procedure using FUE technique. 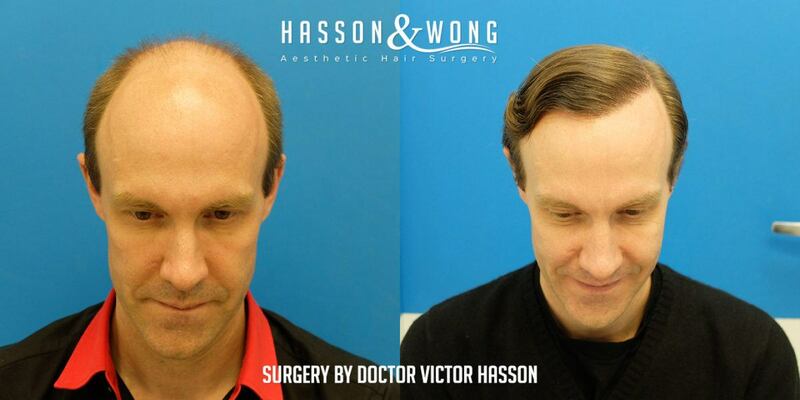 We hope to be able to show his FUE results in the near future. 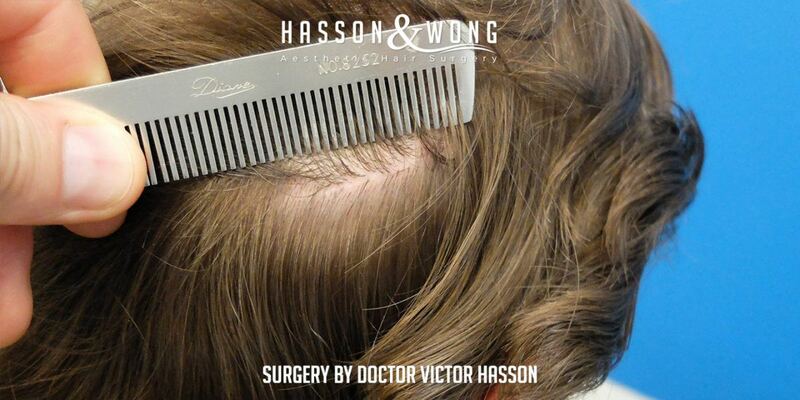 Below are photos only after his 6364 strip procedure. 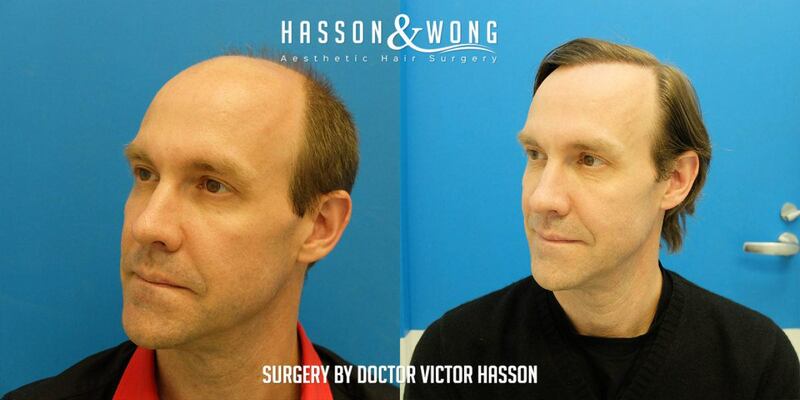 To learn more about Hasson & Wong hair transplant clinic, email info@hassonandwong.com or call 1–800–859–2266 or (604) 739-4247 Vancouver, Canada.